As you would expect from Archos, neither of these handsets will be particularly groundbreaking, but if you're in the market for a phone priced reasonably competitively with the $179 Moto G, there's something to see here. Both models come with Android 4.3 but will be upgradeable to Android 4.4.2, and they're powered by a Qualcomm MSM8926 quad-core 1.4 GHz processor. 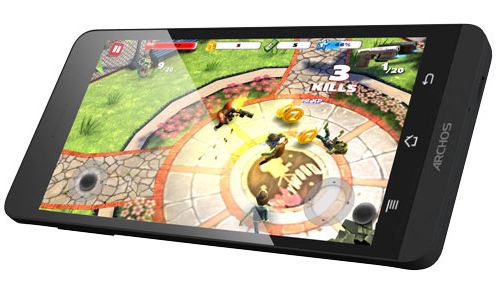 The cheaper 45 Helium has a 4.5-inch 854x480 display, while the beefier model shows off a 5-inch screen with a 1200x720 resolution. The former has 4GB of internal memory, and the latter has twice as much. Both sport 1GB of RAM. The 45 Helium will cost $199 once it goes on sale, and the 50 Helium will go for $50 more. Both fall short of undercutting the Moto G on price, but you do get a Micro SD card slot and faster data speeds for the extra money. See the press release below for more details. 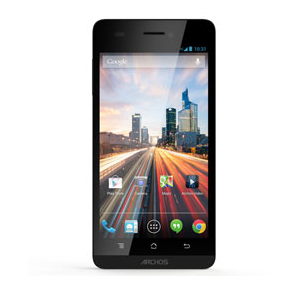 London UK – January 2, 2014 – ARCHOS, a pioneer in Android™ devices, unveils the ARCHOS Helium 4G range, the first ARCHOS LTE smartphones powered by Android™ 4.3 “JellyBean” with full access to Google Play™ Store. 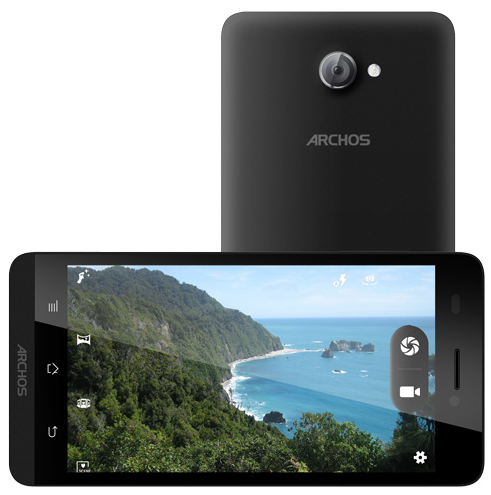 Starting at under £200, ARCHOS’ new unlocked 4G phones reinforces the company’s commitment to providing feature-rich, consumer-friendly technology at an affordable price. The launch of the ARCHOS 45 and 50 Helium 4G phones addresses the growth in global 4G network availability and the increasing global demand for affordable mobile technology. ARCHOS’ new smartphones build on the company’s overwhelming success in the European mobile market and takes advantage of its partnership with Qualcomm, leader in mobile chipsets and processor, to jointly engineer and launch affordable 4G solutions worldwide.